While most eyes in the boxing scene were fixed on Los Angelas yesterday as Tyson Fury and Deontay Wilder battled to a twelve round championship draw in one of the biggest heavyweight matchups in recent memory, a pair of youngsters from Pittsburgh stayed on course of becoming the city's next world champion in separate events. Matt Conway, 23, defeated Columbia native Daulis Prescott by unanimous decision in the main event at the Courttime Sports Complex in Elizabeth, PA to improve his record to 15-0. Using his jab Conway, who weighed at 132 lbs for the bout, was able to back Prescott (32-9) against the ropes and work the body often while finishing upstairs during the course of the six-round super featherweight contest. 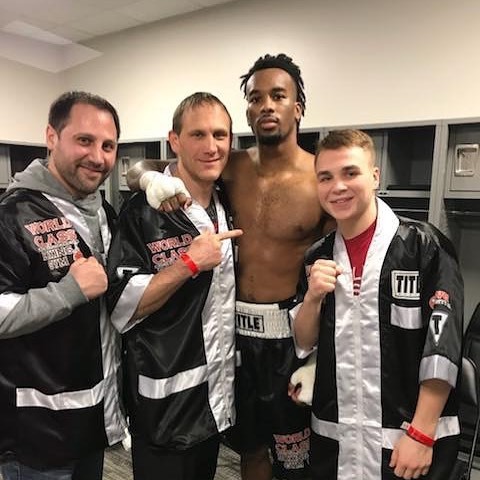 While Conway fought close to home in Suburban Pittsburgh, Kiante Irving took a business trip to the nation's capital, his first time fighting out of the Pittsburgh region. Irving, 24, made quick work of George Sheppard as he scored a second-round knockout victory in a super middleweight contest at the Entertainment and Sports Arena in Washington, DC. 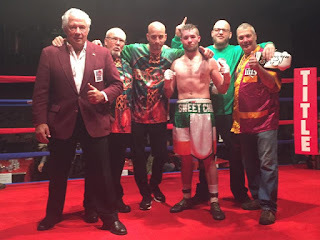 With the victory, Irving, who is trained by Tom Yankello at his World Class Boxing Gym improved to 3-0 with all three victories coming by way of knockout.